Hackney Road is a fantastic area of London, bold, colourful, clever and energetic, and no time of year is better to explore than at Christmas. From Christmas Shopping to great places to eat, amazing events and relaxing hidden spots, there is something for everyone around this brilliant street. Here is just a small selection fo the places we love and the events and exhibitions we are excited about this December. The clever curators at the Jeffrey Museum take us on a journey of discovery back through time throughout this quite incredible museum. Each of the period rooms has been authentically decorated for Christmas, with original decorations and style, highlighting the origins of some of our better known Christmas traditions. 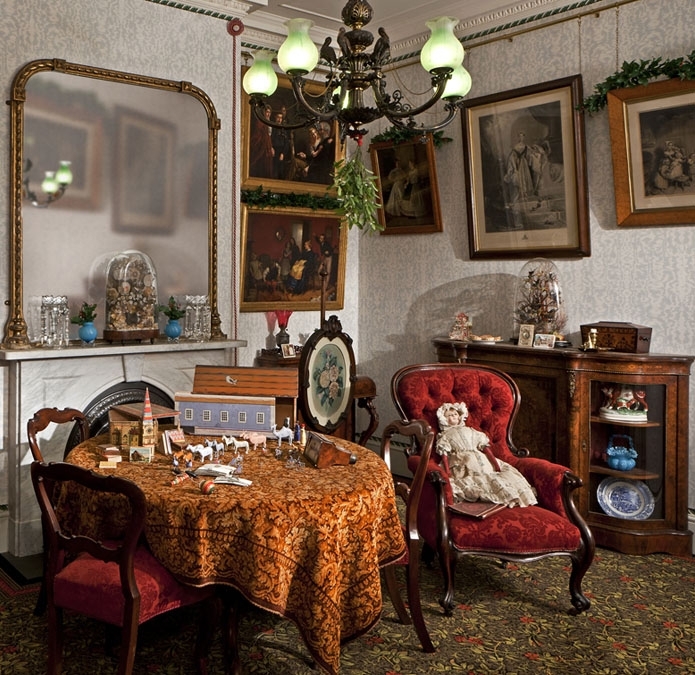 Victorian living room decorated for Christmas, image courtesy of the Jeffrey Museum. 1935 living room decorated with chinese lanterns at Christmas Past, image courtesy of the Jeffrey Museum. Detail of a living room in 1965 decorated for Christmas, image courtesy of the Jeffrey Museum. The Shoreditch Design Triangle are hosting a series of late night shopping evenings all across Shoreditch and Hackney road, with most shops staying open until 9pm. A great and stress free way to get all that shopping out of the way. Many of our neighbours will also be open late on the 14th and 21st. Down Columbia road, all the magical small independant shops stay open late on Wednesdays throughout December, with carollers and even a Christmas tree stall if you would like to avoid the Columbia Road market rush on Sundays and take your time picking your Xmas decorations. The shops along Stoke Newington Church Street are also staying open late on the 14th, so if you do't find your dream presents at Lozi or our neighbors, they might just be hiding a bit further North. If after all that you are still stuck for Christmas presents, why not check out Lozi's £9.99 collection? A series of beautiful small pieces entirely made from repurposed waste materials left over from our production systems, they are great for your wallet and the environment! Watch Classic Christmas movies in a snow filled magical realm. 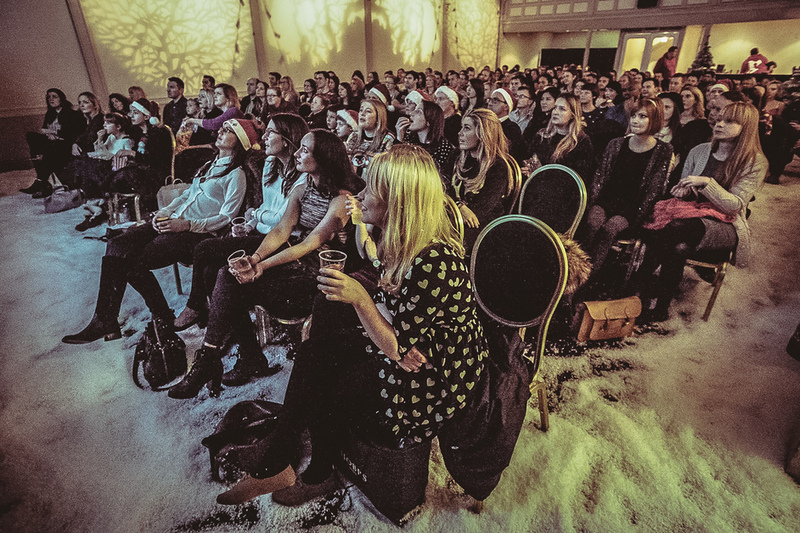 Pop Up Screens are back, transforming the former print works at Hackney Showroom into a magical snowy wonderland. Come enjoy a miryad of classic family favourites, like Elf, Bad Santa and Home Alone, as well as recent releases like La La Land. Enter through a magic wardrobe into a charming world where Christmases are always white to enjoy some mulled wine and mince pies bfore your film starts. Christmas is nothing without all the food, and we have a few firm favourites we always go back to every Christmas as they are just too good! No matter what your preference there is something for everyone around Hackney. Our fantastic neighbors The Marksman pub, a few doors down from us on Hackney road, are probably one of the best pubs in London for festive food, and this year their amazing Christmas menu lives up to high expectations. Pop in to enjoy Steak & Oyster Pudding or Roast goose as part of their festive menu or feast on their dinner menu, a fantastic array of the best British cuisine has to offer. Sager and Wilde have the most fantastic array of wines for Christmas, an would provide the perfect relaxing pit stop when doing your shopping on Hackney road and the Seabright Arms serve what are generally considered someof the best burgers in town. Catch a great new band at the same time in their music venue downstairs. The Marksman Dining room, photo courtesy of the Marksman. You couldn't talk about this particular area without mentionning the legendary Columbia Road Flower Market. Every Sunday this small cobbled street comes alive with the smell of flower sellers and the bussle of excited customers milling in and out of the many small independant shops that line the street. If you are looking to shop local and independant, this is the only place to go. From antique perfumers to children's clothes, artists, bespoke jewelers and a fantastic selection of pubs, Columbia road is unmissable at Christmas.